Lula Mae was born November 1, 1949, to the late Genetta Hughes and Robert Wilmore in Tallulah, Louisiana. She passed away on Sunday, January 20, 2019, at Madison Parish Hospital in Tallulah, Louisiana. She accepted Christ early in life and was a member of New Macedonia Missionary Baptist Church. Spending time with her family and friends brought much happiness to her, and she loved listening to her religious gospel music. 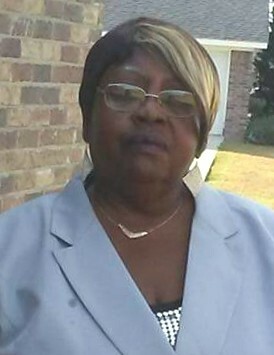 Lula was preceded in death by her husband, Aron Jones; her mother, Genetta Hughes; her father, Robert Wilmore; her son, Eric Hughes; her sisters, Willie Dean Davison, Shirley Wilmore, Mary Wilmore, Curtistene Wilmore, and Chynthia Turner; and her brothers, Frank Hill, Jessie L. Wilmore, and Ricky Wilmore. She leaves to cherish her memories: six loving children: four sons, Clarence (Lottie) Hughes and Wendell Hughes, both of Tallulah, LA, Minister Lorenzo (Annie) Ward Sr. of Baton Rouge, LA, John (Alfredia) Ward Sr., of Ferriday, LA, and Wayne Jones of Alexandria, LA; daughters, Charlyn Ward Smith and Denetrice Ward of Tallulah, LA; sisters, Roberta Wilmore Ballard of Las Vegas, NV, and Lisa Turner of Baton Rouge, LA; five grandchildren, eleven great-grandchildren; and a host of nieces, nephews, other relatives, friends, and special friends.